Hari Sama on the set of "This is not Berlin"
Mexican director Hari Sama has been an icon in advertising for a number of years, but now his semi-autobiographical feature is set to make him a contender in the U.S. movie industry as well. "This Is Not Berlin" took audiences and film critics by storm at the prestigious Sundance Film Festival, where it premiered this past January. 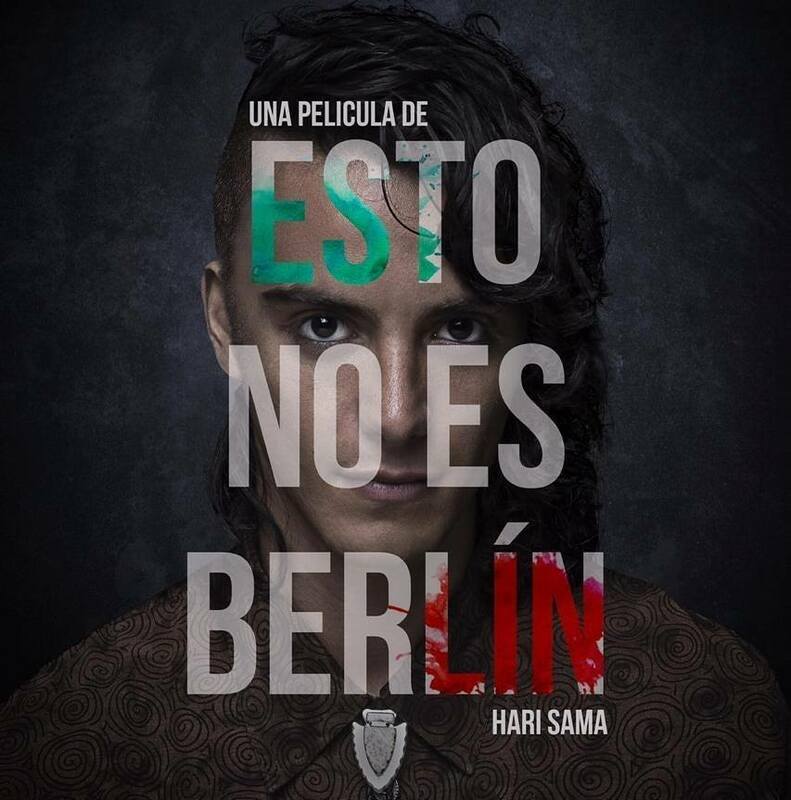 Set in the 1980s punk scene in Mexico, "This Is Not Berlin" follows young protagonists Carlos and Gera as they venture into a subversive underground club at a time of political and socio-economic protest. As Variety noted, this film is saved from becoming a "simplistic cautionary tale" by a lingering fondness for the subculture into which Carlos and Gera dive -- possibly a feat resulting from a sincere, middle-aged perspective on the whole coming-of-age trope. The soundtrack and cinematography of "This Is Not Berlin" also encapsulate the frenetic energy, inspiration, and edge of the age. "This Is Not Berlin" has gotten rave reviews by industry-respected entities such as Screen Daily, Out Magazine, and Variety, among others. Unsurprisingly, Sama is now collaborating on projects with top networks, studios, and production companies . . . so much so that he is now moving to L.A. where he plans to work on his next feature, "Ballast" and continue to direct commercials. As he now heads to Tribeca, the stage seems set for Sama to transition from indie film festival darling to internationally recognized auteur. Hollywood is waiting...but first, Tribeca has dibs on "This Is Not Berlin" and Hari Sama. Having studied film directing at the Cinematographic Training Center ("CCC") and film composition at the Center for Research and Music Studies in Mexico City, Sama championed New Independent Cinema in Mexico at a variety of international film festivals, including those in San Sebastian, Shanghai, Quebec, and Guadalajara. As reviewers and interviewers have noticed over the years, Sama's films create a daring balance between the darkness and the light in the human psyche and defiantly bring audiences to a mental place that is uncomfortable enough to conduct authentic humanist reflection, but safe enough that they can always be brought back unscarred. Unsurprisingly, Sama's films have typically reflected autobiographical aspects, which keep movies like "This Is Not Berlin" grounded and candid. For creative minds looking to expand beyond the traditional, Altered.LA offers an alternative philosophy which values the multi-disciplinary approach. We create visual experiences across all platforms and mediums which elevate the human spirit, enlighten, innovate, and further our culture and artistic expressions.